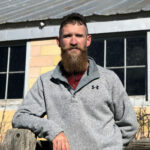 Ross is a Minnesota native who has been developing the community of Cheyenne for nearly twenty years. He believes the people of Cheyenne make it uniquely charming, and enjoys seeing it continue to grow and evolve into a thriving hub for natives and newcomers. 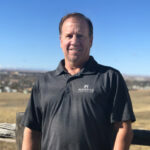 As the CEO of Guardian Companies, he brings over twenty years of real estate experience managing real estate brokerages, home construction, and land development, including Cheyenne projects The Pointe, Pointe Plaza, Thomas Heights, and the forthcoming Whitney Ranch. As the father of three boys he loves watching his sons play sports, and enjoys a well-paired glass of wine with a meal at a local spot. Joe is a California native who moved to Cheyenne in 2005. A builder and General Contractor for 29 years, he is respected in the community as a leader in his industry and has served on multiple Boards and committees such as the Laramie County Planning Commission, the City of Cheyenne Contractor Licensing Board, and is a former President of the Southeast Wyoming Builders Association (SEWBA). He appreciates the many opportunities that Cheyenne has to offer both as a Land Developer/Home Builder and as a resident. When he’s not working on a new Development Project, Joe likes to spend his spare time at the gym, riding his mountain bike, hiking, or hitting the backroads in his Jeep with his trusted side-kick hound Sadie. 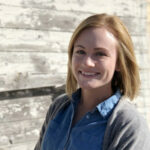 Sydney is a born and raised native of Cheyenne, and a graduate of Laramie County Community College. She recently joined the family of Homes By Guardian, and believes Cheyenne is a growing community with great history and values that will attract new residents in the coming years. Sydney’s favorite Cheyenne hangout is cocktails and deviled eggs at the Paramount Ballroom! 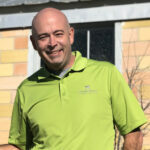 He has been a builder for twenty years, sees the growth and development potential for Cheyenne, and values all the of the connections he’s made since becoming part of the community, and the Homes By Guardian family. Jeff enjoys fishing and getting away to the mountains. 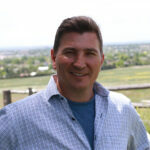 John left a 20-year career in the military to build homes and retire in Cheyenne. 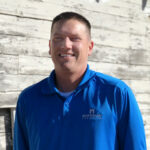 A member of South Eastern Wyoming Builders Association (SEWBA) and the National Association of Home Builders (NAHB), he enjoys staying current with industry changes, and working with the best subcontractors in the business. His favorite contribution to the community has been helping remodel FEMA trailers into transitional housing with the help of a local church. John loves spending time with his family and helping his three boys with their boy scout troop. Joeseph has worked in construction for over ten years, and is a proud Cheyenne native. He loves the tight knit community, and is excited about its growth and expansion into new and bigger directions. He loves a good pair of shoes, and spending time with his children.